Stedman Graham is chairman and CEO of a management and marketing consulting company that specializes in the corporate and educational markets. As a businessman and educator, Stedman Graham lectures and conducts seminars for businesses and organizations around the country. Content is driven by his proprietary Nine-Step Success Process. Stedman Graham's clients have included: Wells Fargo, Merrill Lynch, CVS Pharmacy, Georgia Pacific, PRO-LINE International, Hyatt Hotels Corporation, Manpower, CNN and GlaxoSmithKline among many others. Stedman Graham has authored ten books, including two New York Times bestsellers, You Can Make It Happen: A Nine-Step Plan for Success and Teens Can Make It Happen: Nine Steps to Success. Build Your Own Life Brand! explores the concept of personal and professional branding. Move Without the Ball is a collection of principles that teaches students that sports are a part of life, not life itself. Who Are You? A Success Process for Building Your Life's Foundation focuses on success through self-discovery. Stedman Graham's latest release, Diversity: Leaders not Labels -- A New Plan for the 21st Century, shares his unique approach to eliminate barriers to success. Actively involved in education, Stedman Graham is a former adjunct professor at the University of Illinois-Chicago where he taught a leadership course based on his Nine-Step Process. At the Kellogg Graduate School of Management at Northwestern University, Stedman Graham taught a management strategy course entitled "The Dynamics of Leadership." He also founded and directed George Washington University's Forum for Sport and Event Management and Marketing, the first of its kind in the country. 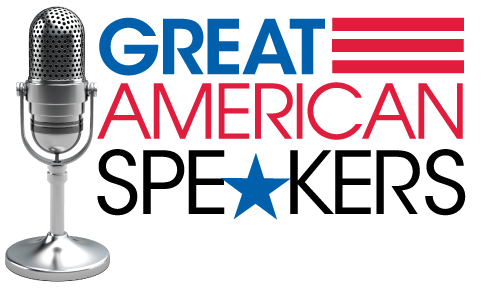 Stedman Graham delivers his powerful message throughout the country and abroad to corporations, government and civic organizations, colleges and universities, community groups and professional associations. Any business or professional interested in improving their performance and sustaining achievement will benefit from Stedman Graham's powerful message, insight and inspiration. Stedman Graham has a lifelong commitment to youth and community. In 1985, he founded AAD Education, Health and Sports (formerly, Athletes Against Drugs), a nonprofit organization with over 500 professional athletes and other civic leaders committed to developing leadership in underserved youth. AAD has served over 15,000 students through scholarships and education. Stedman Graham is also actively involved in leadership efforts and programs in South Africa and is Founder of Concerned Citizens of Whitesboro, NJ, and Concerned Citizens of Lake Waccamaw, NC. He serves on several boards, including the national board of Junior Achievement (JA) and the 7-Eleven Education Is Freedom Foundation, and is a member of the Economic Club of Chicago. Stedman Graham has been recognized for his dedication to the community with the Franklin Covey Humanitarian Service Award as well as the National Urban League Community Service Award. 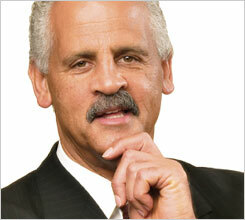 Stedman Graham holds a Bachelor's degree in Social Work from Hardin-Simmons University. In addition, Stedman Graham received his Master's degree in Education from Ball State University and an honorary Doctorate in Humanities from Coker College, where he is also a distinguished visiting professor. "Stedman was a perfect choice for our conference. He engaged the audience from beginning to end. Just perfect! "